The Kings County District Attorney’s Office serves the more than 2.5 million people of Brooklyn, and is one of the largest prosecutors’ offices in the country. 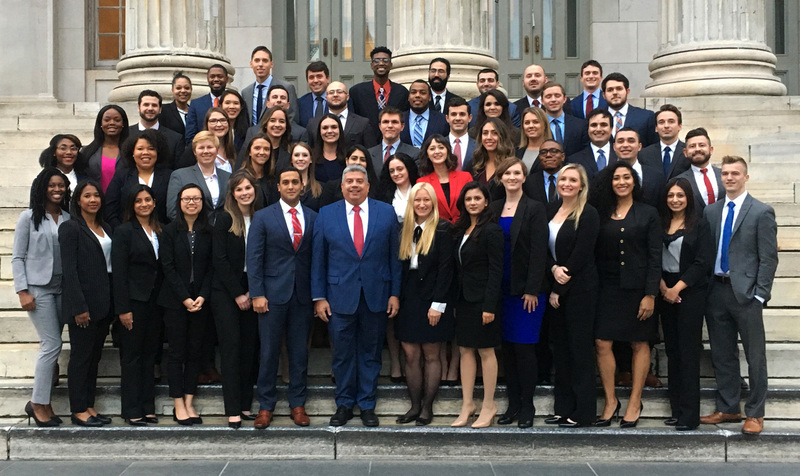 Under the leadership of DA Eric Gonzalez, continuing and building on the legacy of the late DA Ken Thompson, the office is an incubator of innovative prosecutorial approaches — making this an especially exciting time to join the office. The sheer size and diversity of Brooklyn provides a professional experience that is unique among district attorneys’ offices around the country. You will be exposed to a full range of cases, including some of the most complex and cutting edge, and you will learn from some of the most respected and renowned attorneys in the public sector. You will be given as much responsibility as you can handle. Our goal is to hire the best and most committed public servants. Our ADAs come from a wide range of backgrounds and we are committed to hiring and retaining lawyers who represent and add to this vibrant diversity. The Kings County District Attorney’s Office is an Equal Opportunity Employer. Applications may be submitted online and require a copy of your resume, transcript, a one-page personal statement explaining your interest in public service, a writing sample, and three professional or academic references. Foreign language skills are a plus.